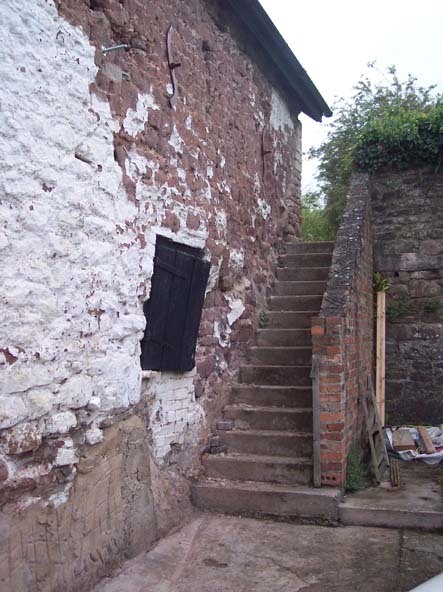 Where external ground levels or adjoining room floors are higher, moisture can move sideways through the walls under either hydrostatic or hydraulic pressure both of which require additional damp proofing work known as tanking, the creation of a "tank" like lining on the internal wall surfaces to deal with the higher water pressures involved..
Old stone steps adjacent to the wall will cause lateral water movement into the walls and damage plaster and decorations. 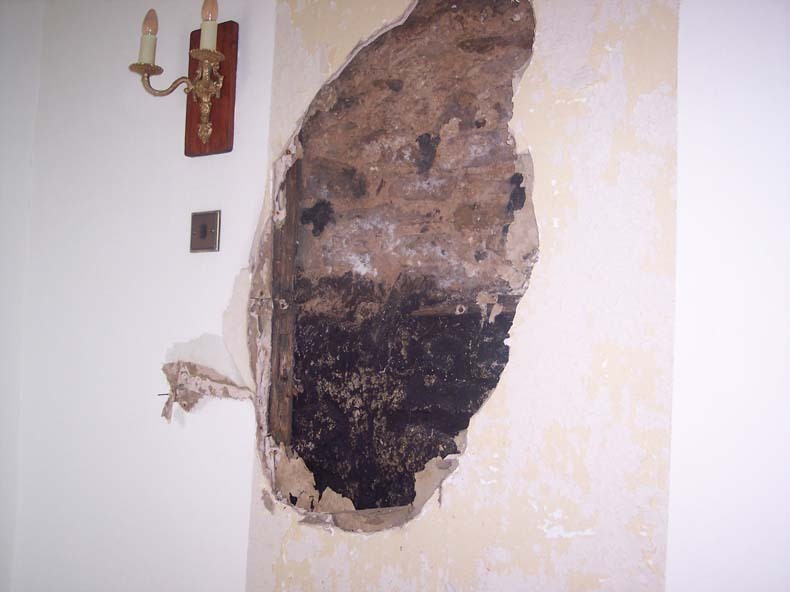 The steps lead to a higher ground level to the rear which causes similar problems for the back wall. 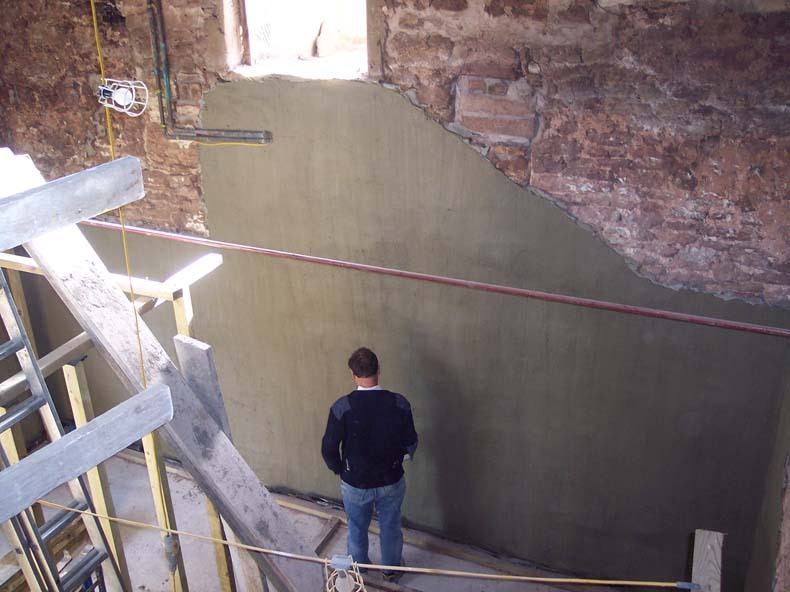 Often earlier ineffective tanking systems are uncovered during the preparatory works and these need to be removed to allow effective tanking to take place. 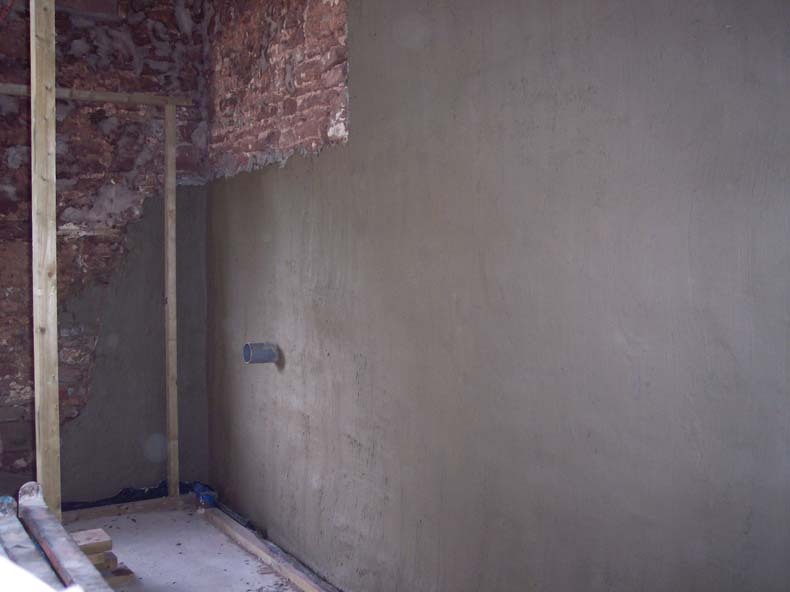 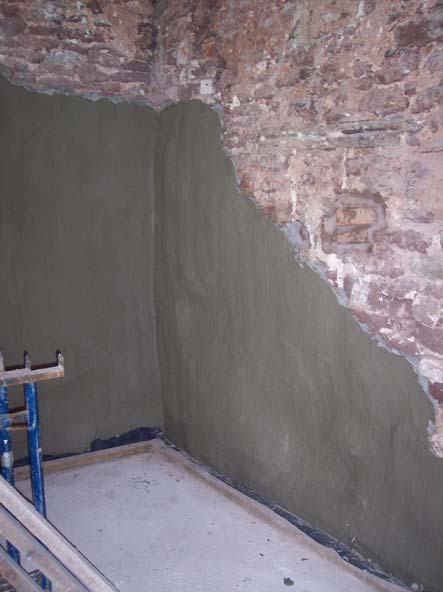 Walls can be finished either with conventional plaster or dry lining systems.